Pisa, in Tuscany, is a small city that is surprisingly spread out. If you want to avoid too much walking, its best to stay near the center of town. Most people visit Pisa specifically to see the famous Leaning Tower of Pisa, but the town if you stay the night you'll have plenty of time to soak up some of the atmosphere. Pisa is also an energetic city, in part because of the University. There's a large student population that keeps the nightlife vibrant and the atmosphere youthful. There are a variety of accommodation options in Pisa. If you're traveling alone and want a social and fun place to meet other travelers, then a hostel is likely your best option. Hostels are also the most affordable places to stay around town. 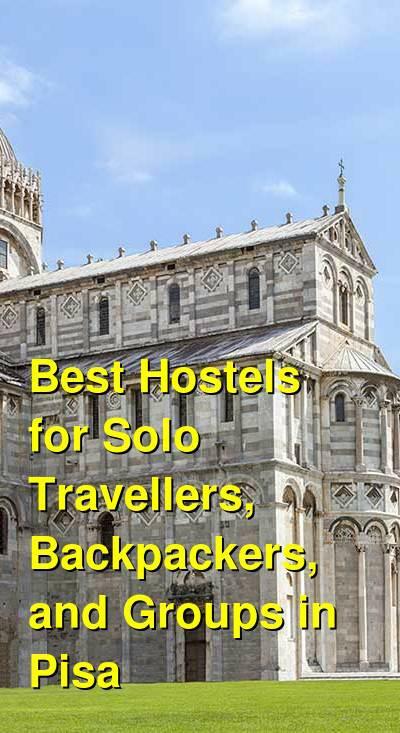 There are a handful of hostels in Pisa to choose from. Because the city is a bit more spread out than you'd expect, it is best to pay a little more for a more central location. You'll appreciate the convenience of being close to the city center, even if it costs a little more. How much do hostels in Pisa cost? Hostel Pisa is one of the largest and most popular hostels in the area. It's conveniently located about a five minute walk from Pisa Centrale Train Station and is about a twelve minute walk from Pisa Airport. The famous Leaning Tower of Pisa is a twenty minute walk away. There are also buses that can take you to any of these destinations with minimal trouble. This is probably the best hostel to stay at in the area if you want to meet other travelers. It has a social atmosphere and you'll meet travelers from around the world in the large common area. Many guests enjoy playing games or just hanging out here. There's also a large outdoor area where you can enjoy the weather and chat with other guests. Whether you're traveling alone, as a couple, or with a group, this hostel is fun for everyone. The hostel also has an on-site restaurant and cafe that is good and reasonably priced. many people enjoy hanging out in the cafe with a drink and light snack. The hostel also has a large number of amenities available for guests including free wi-fi, luggage storage, laundry services, security lockers, and rental bikes. There are twin and four bed private rooms available as well as six bed female and co-ed dorms available. Hostel Pisa Tower is another popular and affordable option in Pisa. It's conveniently located just a two minute walk from the Leaning Tower and is ten minutes by bus from the airport and railway station. The hostel offers all of the standard amenities including security lockers, reading lights, power outlets, air conditioning, and heating. There's also a free wi-fi and travel information available. This hostel is another fun and social place to stay. There are barbecue facilities available that guests can use as well as a nice outdoor terrace. If you want to hang out inside, there's video games and satelitte television available. Hostel Pisa Tower has dorms that sleep four, five, or six people. Both female only and co-ed rooms are available, and there's a range of styles to choose from depending on your budget and travel preferences. The staff here are also friendly and fun. They will work hard to make sure your stay is great and that every guest has a relaxing and fun time. Don't hesitate to ask if you have any questions or want in recommendations for restaurants or things to do. Hostel Easy Pisa is another nice hostel in the area. It's not as popular as some of the larger hostels, but it's an affordable option for budget travelers. 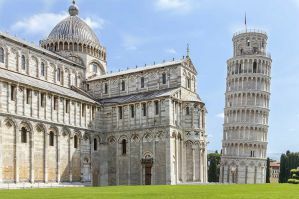 It's located about a 25 minute walk from the Leaning Tower and is about fifteen minutes from downtown Pisa. The airport is just a five minute walk away and the train station is less than ten minutes away. It's also close to many different restaurants, bars, and cafes. This hostel has a friendly and relaxed atmosphere. The beds are comfortable, the rooms are clean, and the staff are helpful. The dorms sleep either six or eight people and both female only and co-ed rooms are available. If you're looking for a quiet place to stay where you can be assured a good night's sleep, then this is a good option. The walk in to town can be a bit long though.